L has the day off today to receive our various furniture deliveries and for the plumber to come fix our kitchen sink. Naturally I’m sceptical that everyone will turn up and that they’ll deliver the right things if they do. I warn L that if a sofa turns up it’s not ours. It is Friday the 13th after all. I get the bus to work. As I get off the Red Arrow at Derby Bus Station, it pulls away and I watch it back into the Spondon Flyer. There are so many accidents in that bus station. L reports that not only has the plumber turned up but that she’s agreed a price with him and he’s down on his knees as we speak. While she’s got him on his knees in the kitchen, she has another man upstairs plumping up the bed. Still no sofa though. With the deliveries complete, L heads to her Mum’s and then meets me later at the Beer Festival. 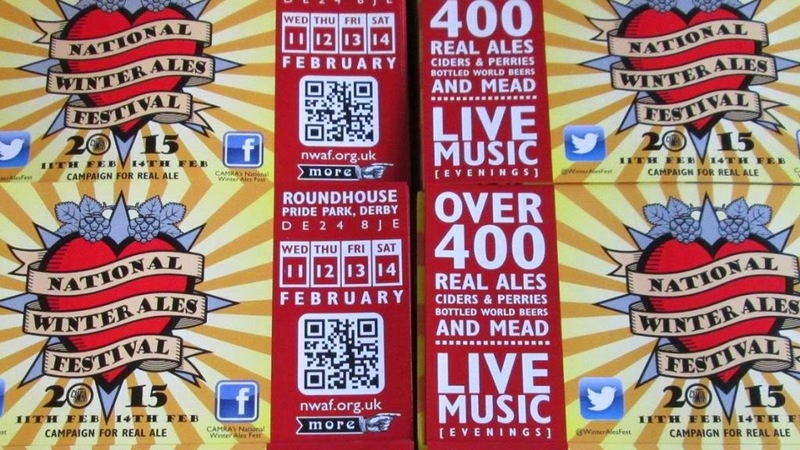 Derby is hosting the National Winter Ales Festival at the Roundhouse. I’ve never been before, despite the fact it was also in Derby last year and a few years before that it had a stint in Burton. L’s not a big fan of beer festivals and even I’m beginning to grow weary of them. I actually feel they are a bit redundant now because we have got such a good range of pubs locally with so many varied beers. In fact there’s not a lot on their beer list that I can’t get elsewhere. So I’ve basically singled out Lees Moonraker, as you don’t see it very often. So I may just drink that all night or I would have done if it hadn’t already sold out. We get home and move upstairs. Although we’re not sure how Doggo will take to it.